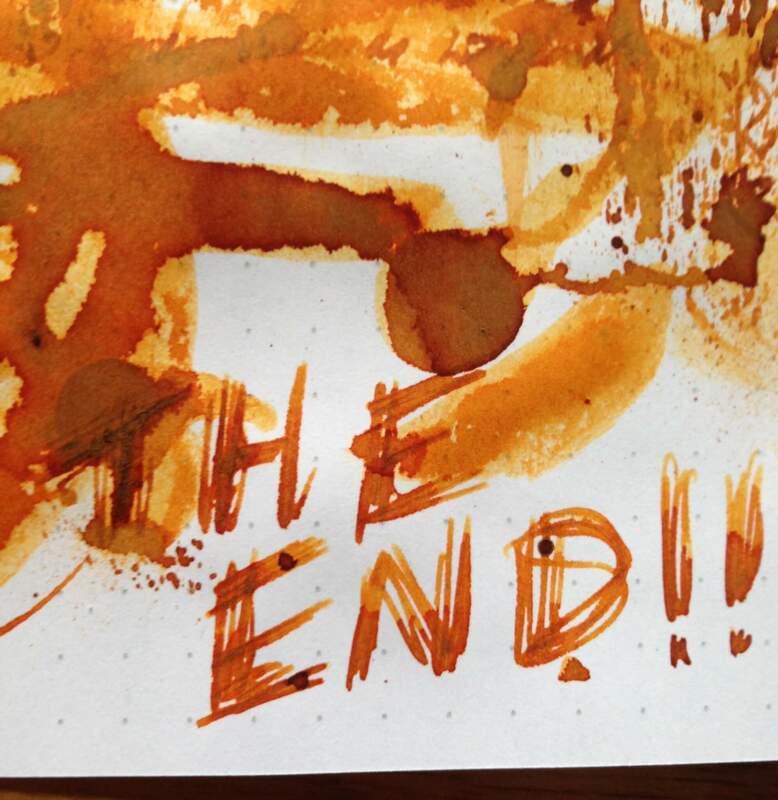 If you have been following my own blog you will know by now that I really like Orange and Grey inks. Today I might have just found one of my favourites. 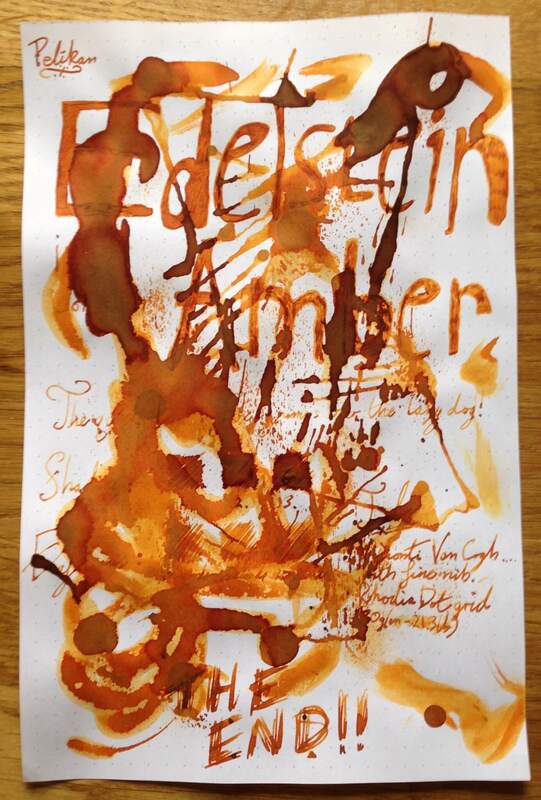 The Edelstein Amber isn’t what I really think of as a typical orange, it isn’t a bright orange but a rich dark orange for the most part. In certain parts of my writing it looks a tad bit lighter in shade but it just adds to the experience of using this ink. The shading is really impressive as it has a good range of depth. 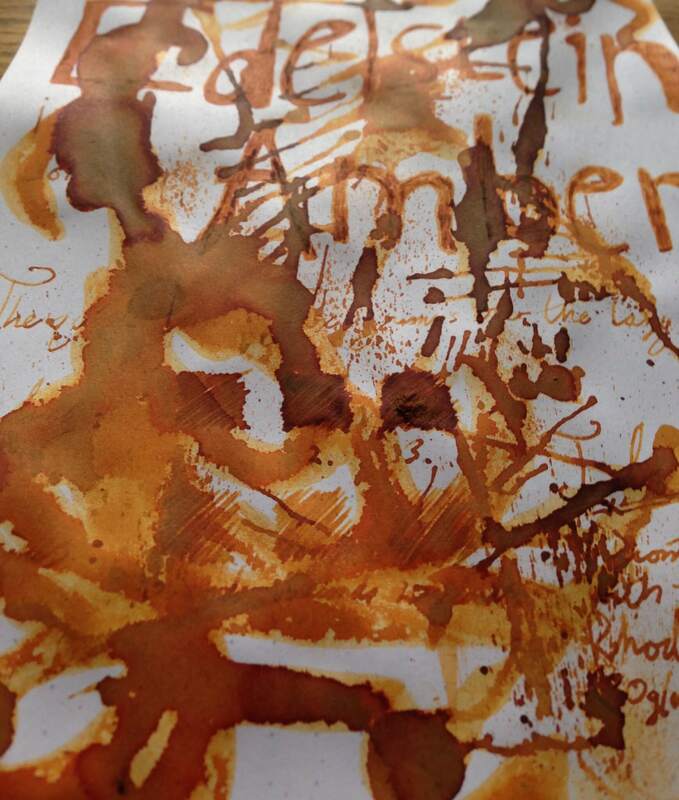 One interesting feature of this ink is that I found over time it drys in to a warm brown shade depending on how much ink you lay down on the paper. 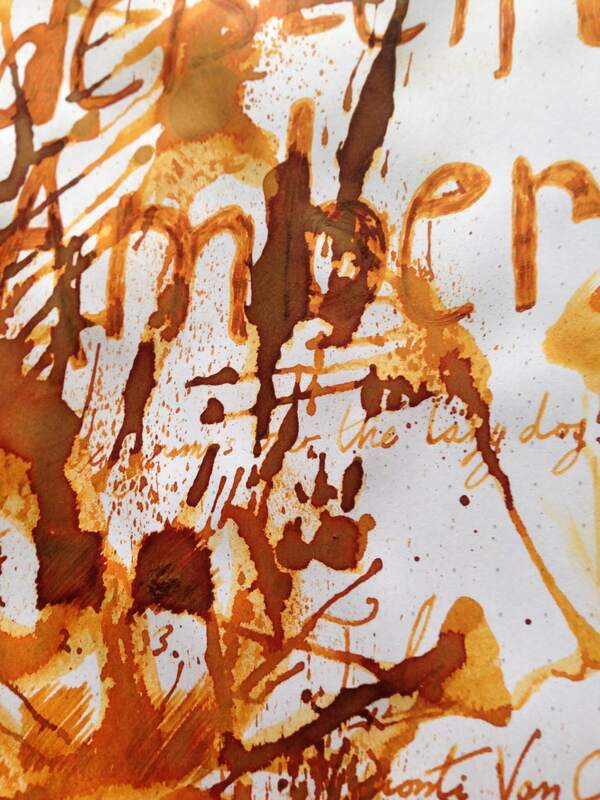 Since spotting this, I am more convinced that this ink does have a visible tint of brown in it while writing. Drying times weren’t to bad but I did find it took around the 20(ish) seconds mark for it to be dry. This isn’t a problem for me but I thought it is worth mentioning. 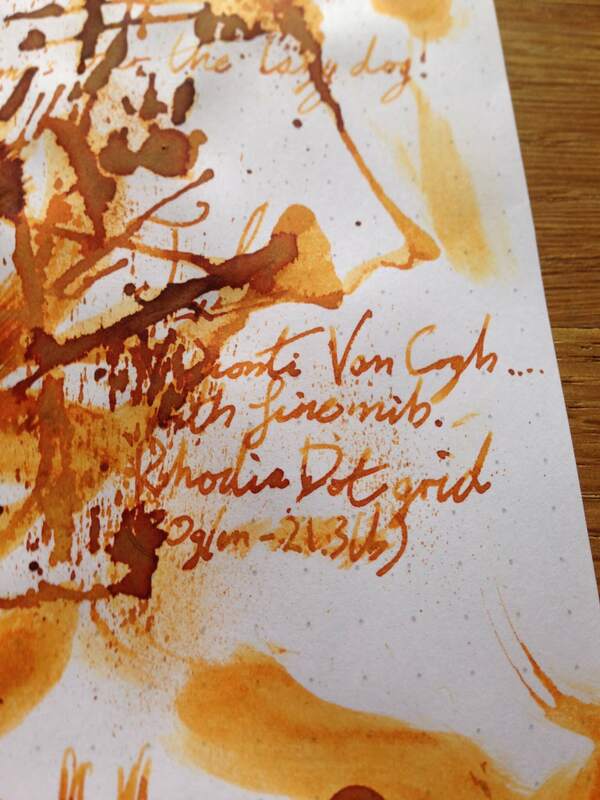 I would say this isn’t a cheap ink costing £14.95 a bottle but if you collect ink this isn’t really that expensive when compared to other brands of ink. 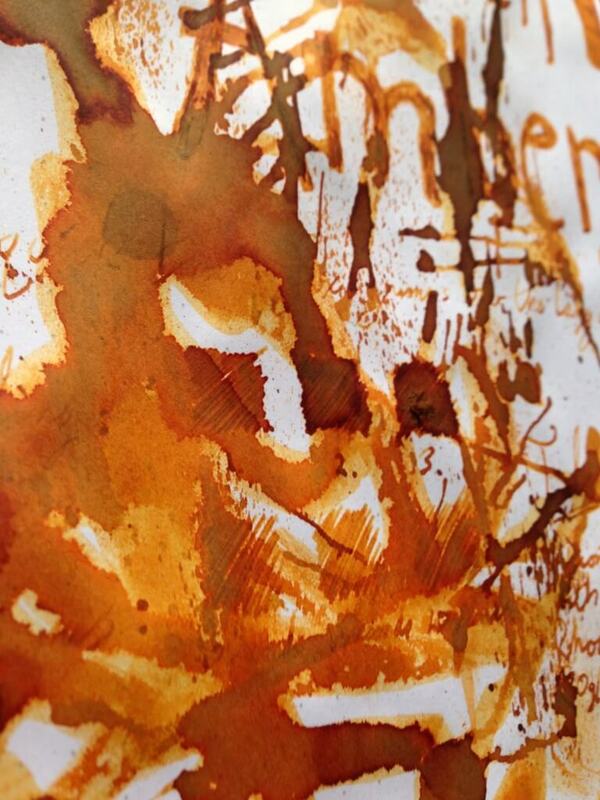 If you are a fan of orange inks you really should have a bottle of this in your collection. I now have it inked in my matt black Pilot Vanishing Point which is a perfect combination for me.